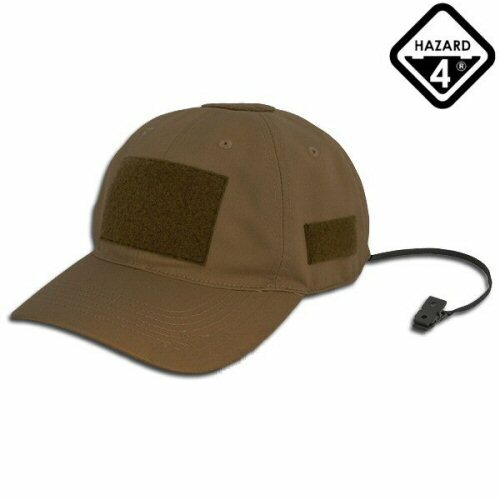 The Hazard 4 PMC Modular Contractor Ball Cap is the classic ball cap pattern tactical cap with 2x3in loop patch on front. Coyote is a deep tactical colour for field, indoor and outdoor use. It features Velcro hook and loop adjustment on rear, loop patch on adjustment strap for name tape, loop patches on sides, 2in diameter top patch. Retainer lanyard can be clipped to the collar for security or removed in seconds.